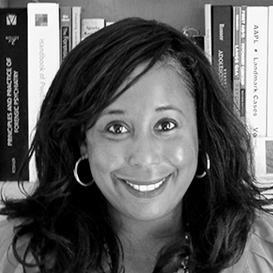 Eraka Bath, M.D., is a research contractor working with BetaGov and Segregation Solutions. Board-certified in child, adolescent, adult, and forensic psychiatry, she is an assistant professor in the Division of Child and Adolescent Psychiatry at UCLA Neuropsychiatric Institute in the David Geffen School of Medicine. Dr. Bath specializes in diagnostic assessment and forensic consultation with adolescents, with an emphasis on high-risk youth, including those with histories of trauma, juvenile delinquency and foster-care placement. She has served as the psychiatrist appointed to the Los Angeles County Juvenile Mental Health Court (JMHC), has developed partnerships with the Los Angeles County Juvenile Court system, and consults and provides training to the Delinquency Court System. In addition to maintaining a private practice focused on forensic consultation to attorneys and governmental agencies, she is also an attending psychiatrist to the Westside Regional Center, where she treats individuals with intellectual disabilities, autism spectrum, and developmental disorders. Her research focus is on at risk youth population in juvenile justice and foster care settings. Dr. Bath has a bachelor’s degree from the University of California, Berkeley, as well as an M.D. from the Howard University College of Medicine. She completed her child-psychiatry and forensic training at the NYU School of Medicine.